Fairy Gardening | Faddegon's Nursery, Inc.
With my gardens put to bed for the winter, my hands are itching to get into the dirt. 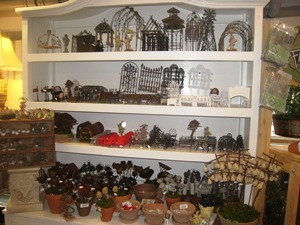 What better way to satisfy this craving than to create a Fairy Garden? And since these darling landscapes are designed to lure magical fairies, along with good luck, it is the perfect endeavor for the New Year ahead. Better yet, I will make two, one for me and one as a holiday gift! Faddegon’s has all of the components one needs to assemble an enchanting fairy lair. 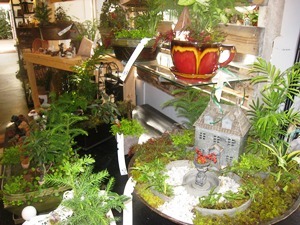 There are dozens of petite live plants and oodles of tiny furniture, gardening tools, artificial moss, stones and other captivating décor. We also carry a book about how to step-by-step build a masterpiece or simply let your imagination run wild!